Iceland has always loomed large in my mind, its geographic extremes and stark beauty placing it high on the list of places I want to explore during my lifetime. The volcanic island’s larger-than-life reputation in my head belies its true size, which is about that of the state of Oregon. Iceland has, however, had a giant impact on the rest of the world at several different points in history when its volcanoes cast poisonous gases and ash into the atmosphere. While physically isolated from the rest of the globe by the cold waters of the North Atlantic, scholars are increasingly recognizing how connected the island’s environmental history is with world history. Many people are familiar with Iceland’s April 2010 eruption of Eyjafjallajökull, even if they aren’t as familiar with the volcano’s name. That eruption stopped air travel across Europe several times over two months. 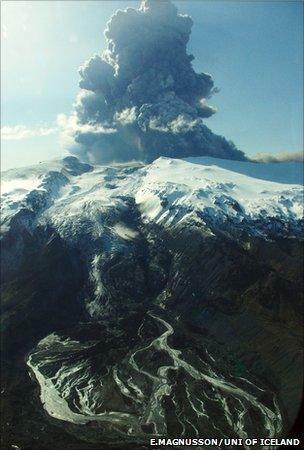 But Eyjafjallajökull is by no means the superstar of Iceland volcanology. That honor belongs to the massive eruptions of Lakagígar, or Laki for short, which lasted from 1783 to 1784. Like other world-famous volcanoes, Laki is the focus of several works of environmental history, written to show the connections between an eruption and the global natural, social, and political events that followed. Laki got its own special treatment in 2015 with the publication of Island on Fire: The Extraordinary Story of a Forgotten Volcano that Covered a Continent in Darkness by Alexandra Witze and Jeff Kanipe. This environmental history of volcanic eruptions was written for a general audience, with a particular focus on Iceland’s Laki, and summarized scholarly research that connected the June 8, 1783 eruption of Laki with a global (and especially European) fallout of catastrophes. In summary, these environmental histories of an Icelandic volcano are fascinating to me not only for touching on a place that I have longed to visit, but also for showing how human beings always have been and still are deeply connected to and dependent on the natural world. We humans have an international space station, can text someone on the other side of the globe, and have genetically modified plants to suit our various needs. But despite all of our advances and developments, we cannot escape our climate and the outsized effects of one geographically small volcanic island. This past September, I (at last!) travelled to Iceland on vacation. 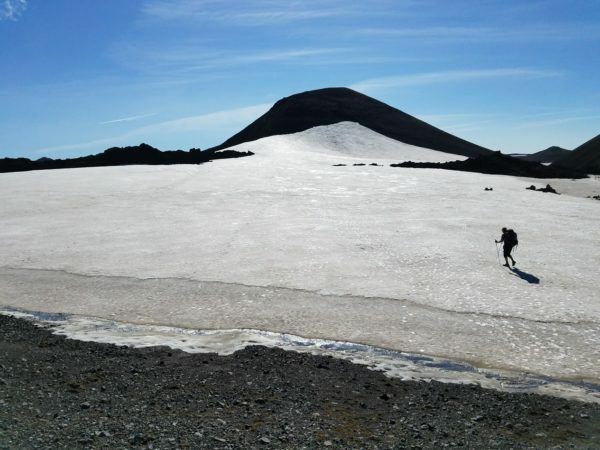 It was with some trepidation that I hiked right beside the nascent craters of Eyjafjallajökull and slept below the slopes of Katla, a monster volcano buried beneath an ice cap. My reading of Island on Fire gave me a much deeper appreciation for the global power of the landscape around me… and I was very glad that there was no (immediate) need for a new environmental history of Icelandic volcanoes. Amalia hiking below the fresh cinder cones and lava flows of Eyjafjallajökull’s 2010 eruption. To have a global effect, volcanic eruptions need to send gas and dust high enough into the atmosphere to reach jet streams. Many famous eruptions, such as that of Mt. Vesuvius near Pompeii in AD 79, were smaller and more localized in their (still catastrophic) effects. 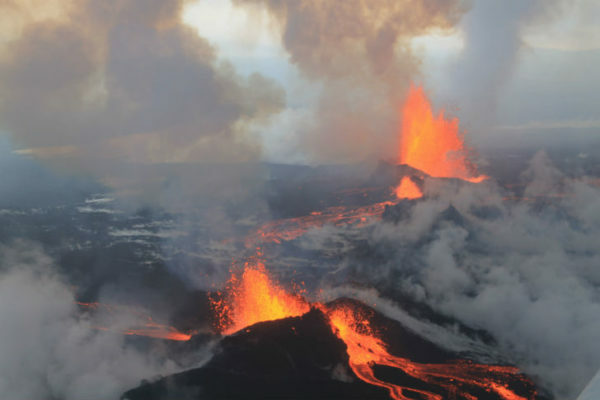 The global effects of massive eruptions were less well-known before modern climate science emerged, though in the case of Laki several scholars did postulate that the haze they were seeing could be connected to Iceland. 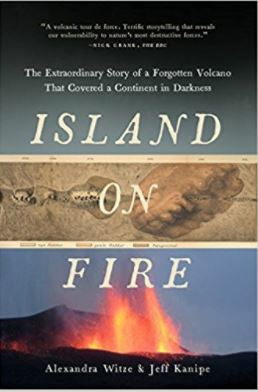 (Alexandra Witze and Jeff Kanipe, Island on Fire: The Extraordinary Story of a Forgotten Volcano That Changed the World, 1 edition (New York: Pegasus Books, 2015)). 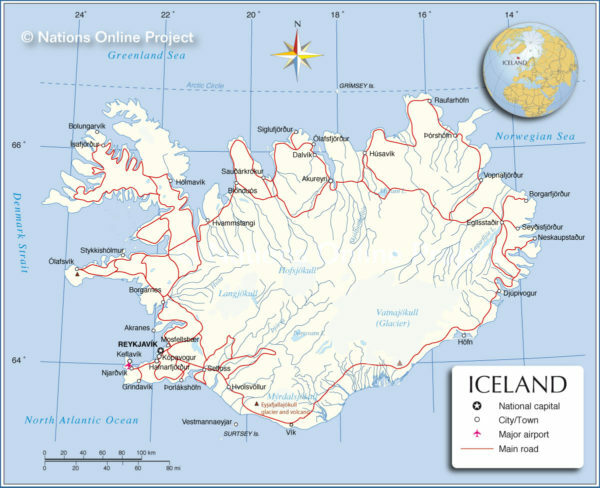 [i] “Map of Iceland – Nations Online Project,” accessed August 7, 2017, http://www.nationsonline.org/oneworld/map/iceland_map.htm. [ii] E Magnusson’s photograph, featured on Jonathan Amos, “Met Office’s Laki Volcano Impacts Study Due Soon,” BBC News, May 1, 2014, sec. Science & Environment, http://www.bbc.com/news/science-environment-27239321. [iii] Jelle Zeilinga de Boer, Donald Theodore Sanders, and Robert D. Ballard, Volcanoes in Human History: The Far-Reaching Effects of Major Eruptions (Princeton: Princeton University Press, 2004); Clive Oppenheimer, Eruptions That Shook the World, 1 edition (Cambridge, UK ; New York: Cambridge University Press, 2011); William K. Klingaman and Nicholas P. Klingaman, The Year Without Summer: 1816 and the Volcano That Darkened the World and Changed History, Reprint edition (New York: St. Martin’s Griffin, 2014); Gillen D’Arcy Wood, Tambora: The Eruption That Changed the World (Princeton Oxford: Princeton University Press, 2015); Simon Winchester, Krakatoa: The Day the World Exploded: August 27, 1883, 1st Harper Perennial Ed. Publ. 2005 edition (New York: Harper Perennial, 2005). Quote is from Dr. Dave Peiri’s review of Eruptions That Shook The World, viewable on the Amazon page for the book: https://www.amazon.com/Eruptions-Shook-World-Clive-Oppenheimer/dp/0521641128. [iv] Witze and Kanipe, Island on Fire. Photo of cover from Amazon.com book page. 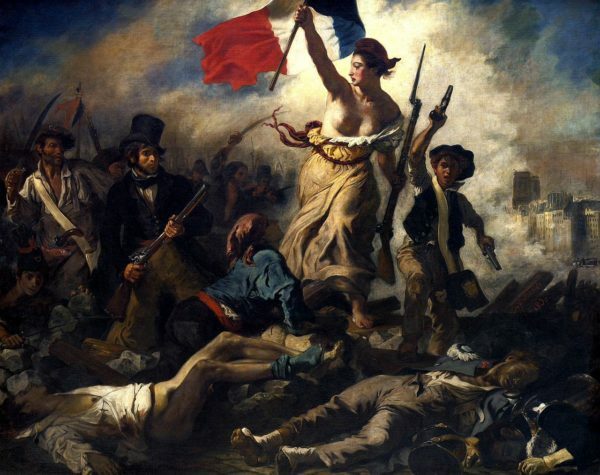 [vi] “Eugène Delacroix,” Wikipedia, July 20, 2017, https://en.wikipedia.org/w/index.php?title=Eug%C3%A8ne_Delacroix&oldid=791511264. [vii] Gordon C. Jacoby, Karen W. Workman, and Rosanne D. D’Arrigo, “Laki Eruption of 1783, Tree Rings, and Disaster for Northwest Alaska Inuit,” Quaternary Science Reviews 18, no. 12 (October 1, 1999): 1365–71, doi:10.1016/S0277-3791(98)00112-7. [viii] Alan Mikhail, “Ottoman Iceland: A Climate History,” Environmental History 20, no. 2 (April 1, 2015): 262–84, doi:10.1093/envhis/emv006. [ix] “Central Volcanoes of Vatnajökull,” VolcanoCafé, May 29, 2013, https://volcanocafe.wordpress.com/2013/05/29/central-volcanoes-of-vatnajokull/. 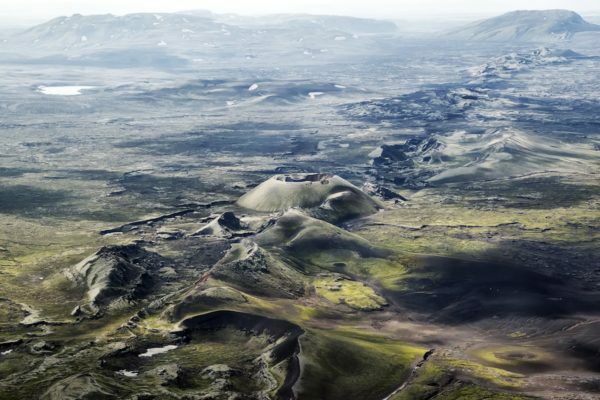 [x] “Climate Change Means More Volcanic Eruptions in Iceland | Inhabitat – Green Design, Innovation, Architecture, Green Building,” accessed August 8, 2017, http://inhabitat.com/climate-change-means-more-volcanic-eruptions-in-iceland/.